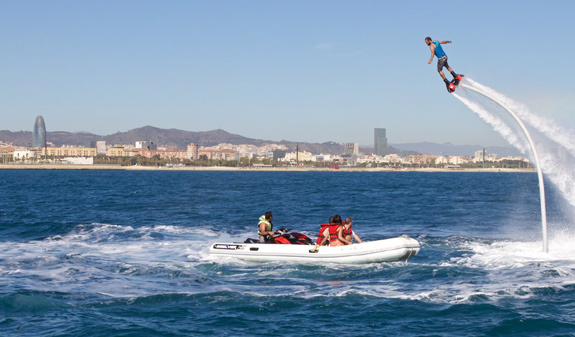 Do you want to try a new sport that is revolutionising the world of water sports? 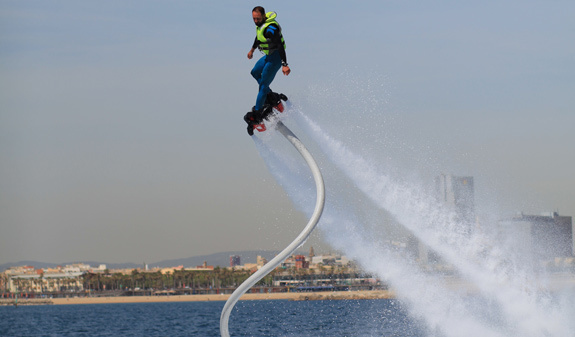 Hop on to a flyboard, an aerodynamic board that propels you from under the water up to 12 metres into the air! It’s so simple that most users will be able to fly in just 15 minutes! Fly like a bird, swim like a dolphin! 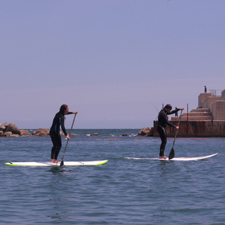 Enjoy the new sport that’s trending now from Barcelona’s Port Olímpic. 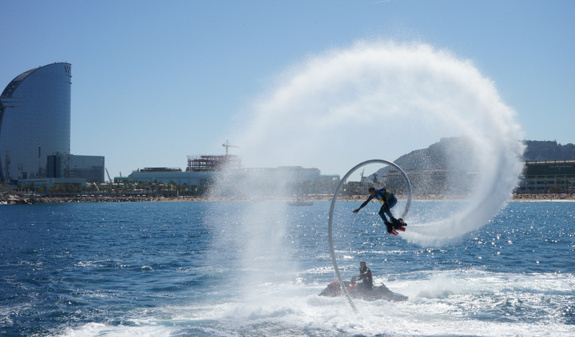 The Flyboard consists of a board powered by two powerful water jets that will propel you up to 12 m above the water! 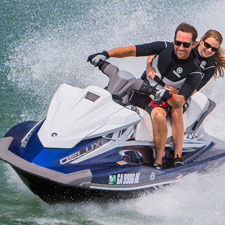 A spectacular, easy sport that is all the rage. 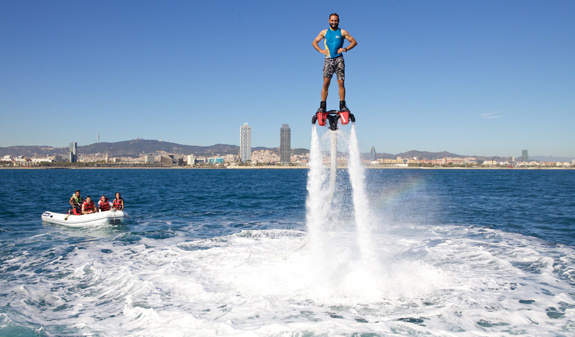 In just 15 minutes, 95% of the people who have tried it have taken to the skies! 15 or 30 minuts according to your selection. Times: from April to October; daily, Summer from 10am to 8pm, Winter from 10am to 5pm. Lenght: 15 or 30 minutes. Meeting Point: Port Olímpic, marquee on the Moll de Marina, corner of Moll de Mestral. Metro L4, Ciutadella Vila Olímpica station. Bus 41, 45 and 59. 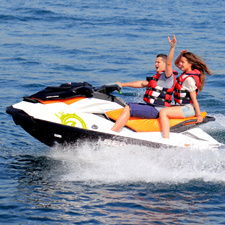 The 30-minute activity can be done by a single person or shared between two people (15 minutes 1 person + 15 minuts 1 person).